And the winner is: The Spring Peeper Frog! How did you spend your Earth Hour? Was it successful? If so, explain why. If not successful, also explain why. Don’t forget about the Red-Tailed Hawks nesting on the Franklin Institute. To visit the nest site, click here! Be sure to click on the links at the top of the page: About, Mexico 2009, Monarch Project and MTN and Quote of the Day. These links will take you to other pages within the blog. Come back often as I will be updating them frequently. 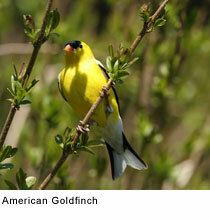 As the month of March winds down and April is fast approaching, look for more signs of Spring. How is Spring making itself known to you? Are you seeing/hearing more birds? Is the weather different? 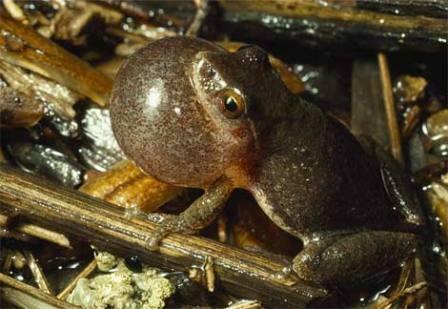 Are you seeing or hearing any frogs or insects? Please write your observations here! I will be rereading the Earth Hour ideas and posting the photos of the winners this week. To my students–your ideas are all terrific! I hope you accomplished your Earth Hour goals! This Saturday–Shut Off Your Lights! This Saturday, March 28th at 8:30pm is Earth Hour. What exactly is Earth Hour? It is one hour, 60 minutes, 3600 seconds, where you turn off your lights and televisions and video games. Why exactly do we do this? By turning off your lights, you are casting a vote for the Earth. If you don’t, you are casting a vote for Global Warming. It is that simple. What exactly can I do instead of watching tv? This is where you can get involved. Post here what you plan on doing this Earth Hour. Be creative! The most creative ideas will be featured here on our blog–complete with a photo of the most creative Earth Hour participant! Will it be you? Put all your spring observations here on our blog! Write what you see, hear, smell, touch or maybe even taste! We will use the digital camera during club next week and take photos of our observations. How much fun this will be! Any clue what this is? Post a comment and let me know! 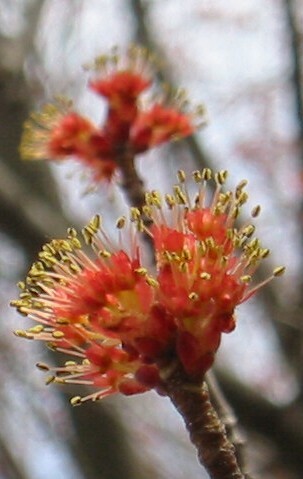 Red Maple Buds!! If you start looking around your neighborhood, you may see the red maple trees getting tiny buds on them. When they start to open, they look like flowers, don’t they? I wrote to Marie Winn, a famous nature writer last week to tell her about the red-tailed hawks that are nesting on the Franklin Institute. I was so excited when Ms. Winn wrote back and thanked me for telling her about the Philadelphia red-tails. A few days later, Ms. Winn wrote again and told me to check out her blog. When I did, I was so surprised because she wrote about our blog! Three Eggs on the Franklin Institute Nest! The information below comes from the Franklin Institute Website. UPDATE: There are three eggs! The first egg arrived on Monday, March 9. The second on Thursday, March 12. The third on Sunday, March 15. The Red-tailed Hawk (Buteo jamaicensis) is the most common hawk in North America. It is a large bird with a broad, red tail. The female is usually larger than the male. It appears that a male and a female are co-constructing the nest at The Franklin Institute. Red-tailed Hawks are monogamous, meaning that a hawk will choose one mate and stay with that mate for life. The Red-tailed Hawk builds its nest in a tall tree or other elevated perch. The nest is a circular assembly of sticks and twigs, lined with softer pieces. It appears that The Franklin’s hawks have used newspaper scraps and feathers to soften their nest. Tree bark and leaves are also known to be used in nesting. Red-tailed Hawks will lay a clutch of two to four eggs in March or April, depending on climate. (A clutch is the collection of eggs, kind of like a “litter” in other species.) For Philadelphia’s latitude, the eggs are likely to be laid in mid-March. In fact, the first egg arrived on Monday, March 9. 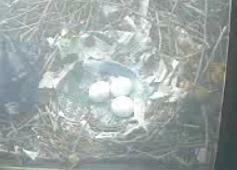 The second egg arrived on Thursday, March 12. The third arrived on Sunday, March 15. Incubation of the clutch lasts for 28-35 days, which means we may begin to see signs of hatching during the week of April 6. The female is most responsible for incubation, but the male will substitute when the female needs to exercise or hunt. About 43-45 days after hatching, the babies (known as nestlings) will begin to leave the nest to learn to fly and hunt. At 10 weeks, they will leave the nest for good.